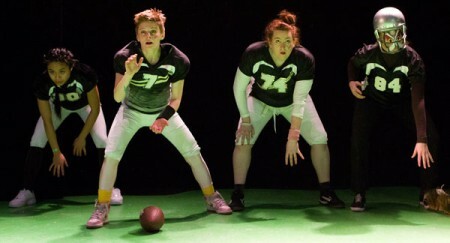 "launching a goal-line drive to a new feminist form"
"a giddily exuberant exuberant confection that manages to conjure a distinctly eccentric theatrical world"
A female and transgender cast portrays the players, coaches, and cheerleaders of a high school football team. With the historically male and highly American backdrop of football, the piece subversively considers what it is to be an athlete; the shifting stakes, relationships, and power dynamics of a team on and off the field; and the concept of placing belief and commitment in something bigger than oneself. The text combines the specific lexicon of football, sports, and coaching with the awkward realism of high school-speak. 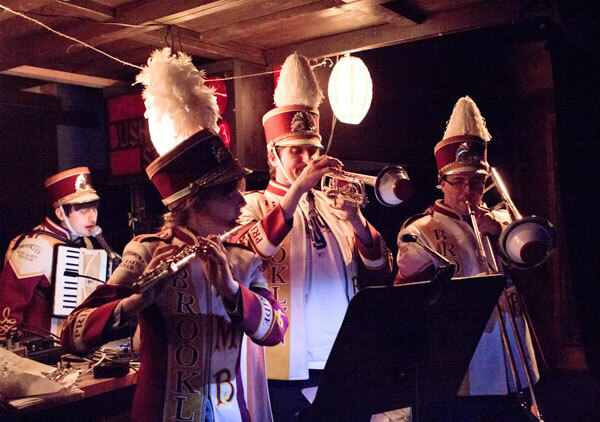 A live score for brass comprised of deconstructed pop songs accompanies the performance.